Bad Moon Cafe are pleased to announce the second monthly Age of Sigmar tournament! 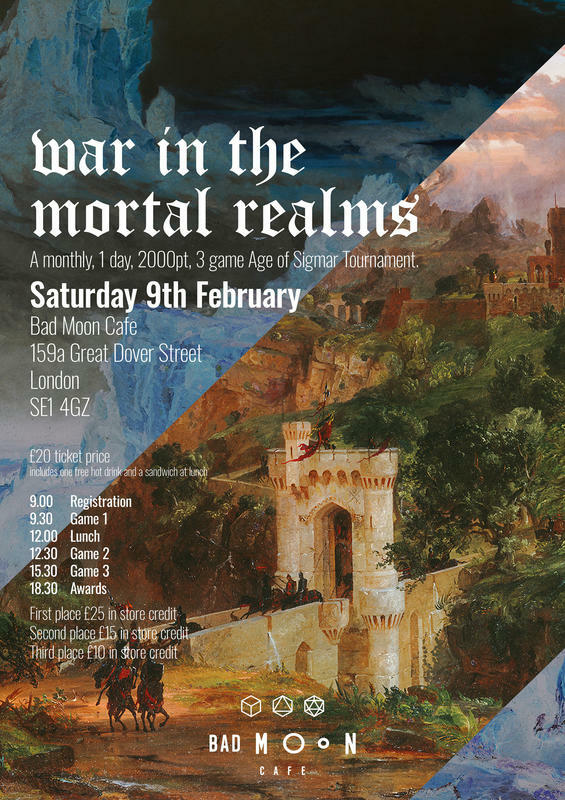 An 18 player, 1 day, 3 game tournament in London! The event will take place over 1 day, on Saturday 9th February 2019. Bad Moon Café will open from 08.00 till 23.00 on the day and the tournament will take place from 09.00 till 19.00. There will be 3 games played over the day. There are no painting rules, points or limitations. Full rules pack to follow soon. Rules pack from WITMR#1 can be found here and will be identical for #2 except for the scenarios which will be different.